Now I must admit, until recently I never caught the Austen bug but I was aware of Sense and Sensibility and even watched it many moons ago. Anyway, lately I have been reading some of Austin's work and enjoying it immensely. So this weekend when I found it playing on cable, I made myself a cup of tea and got my knitting out. 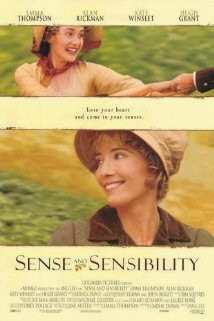 While the credits opened, I suddenly remember reading a review of Sense and Sensibility a few weeks ago from the Knitlit Twit. She regularly posts about the movies she's watching and links up here with her updates. I am so happy to share this experience even though we are miles apart. Anyway, the story is fairly simple. Two young sisters, their mother and baby sister are left destitute after the death of their father. They are given a tiny inheritance from their half brother and move to a cottage in Devon. Both sisters meet suitors during this time and the main story line compares the experiences between Elinor and Marianne. Elinor is the eldest and most sensible of the sisters. She meets Edward Farrars (Brother to her sister in law Fanny) when he comes to visit. The two have lovely chemistry and the spark of love is ignited. Alas, Fanny (a spoiled and snobbish harpy) does not approve of the match and the small family leave for their new cottage. In Devon, Marianne meets both Colonel Brandon and Willoughby. Brandon is a friend of their mother's cousin who takes an instant liking to Marianne though he is older. Willoughby happens upon Marianne after falling on a hill and twisting her ankle. His handsome face and heroic actions win the heart of Marianne. In contrast to Elinor, Marianne and in turn Willoughby are demonstrative of their affection. As with any love story their are challenges to overcome and hearts to mend. 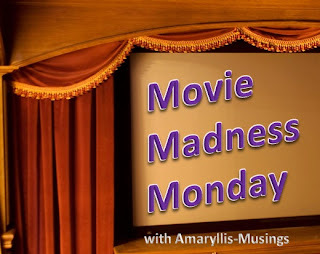 The movie and in turn the book have twists and turns which always nice for a quiet Sunday afternoon. Sense & Sensibility playing on a Sunday afternoon? Perfect! Yes it was a lovely afternoon. I just couldnt help but drink a ton of hot tea.